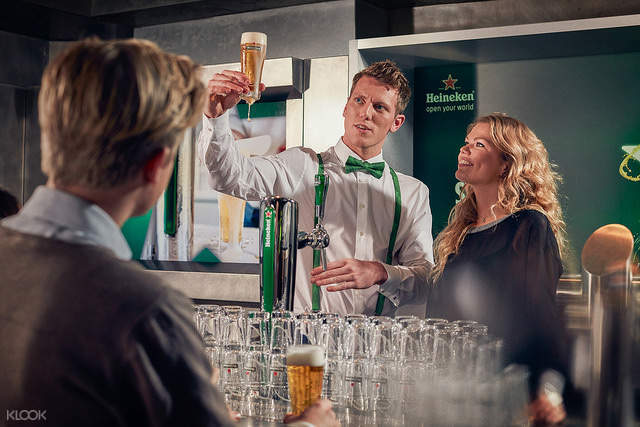 Take home a special souvenir: pay extra to get a unique bottle of Heineken beer with your name on it! Good explanation about Heineken history from the staff and fresh beer provided. We had our names customized on the beer bottles too. 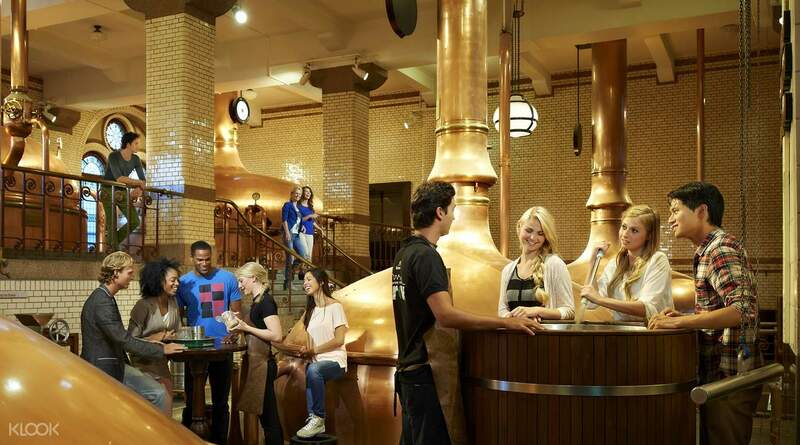 While at the birth place of Heineken, make sure to drop by the original Heineken brewery and get a taste of the Heineken Experience. One of Amsterdam's most popular locations, the old factory is located at the heart of the city, and was producing Heineken beer until 1988. In 2001, it reopened its doors to the world as a museum, which you can now visit without having to wait in line with your fast track entry tickets from Klook. 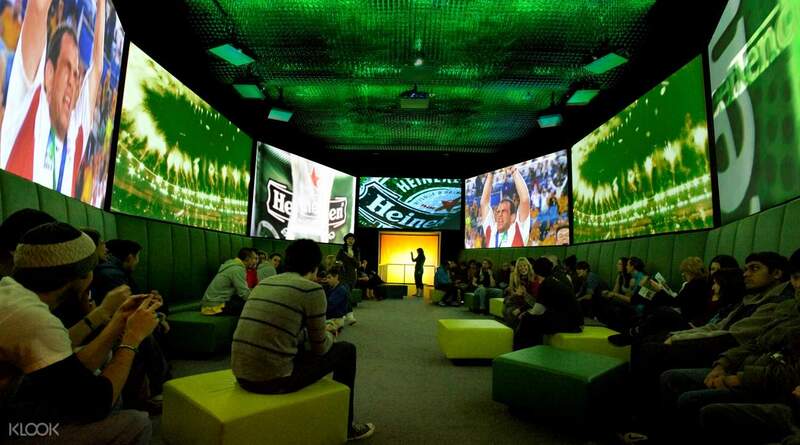 Go on a self-guided walk through the old factory and learn about the history of Heineken in a fun and interactive way. 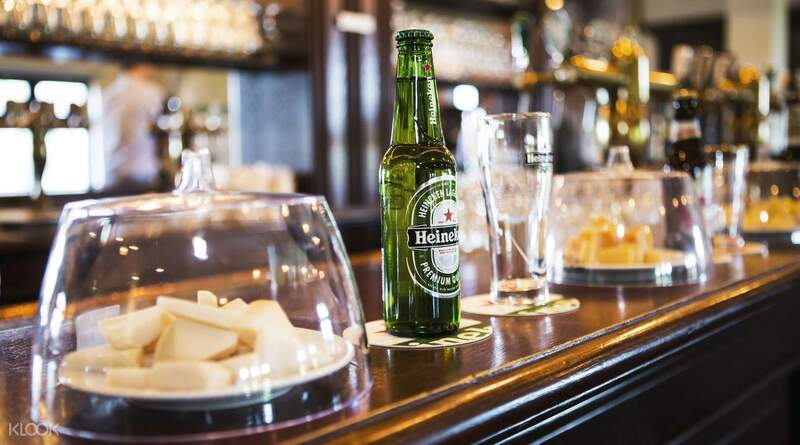 There, you can watch old commercials, draft your own beer, and even go on a Heineken tasting session. 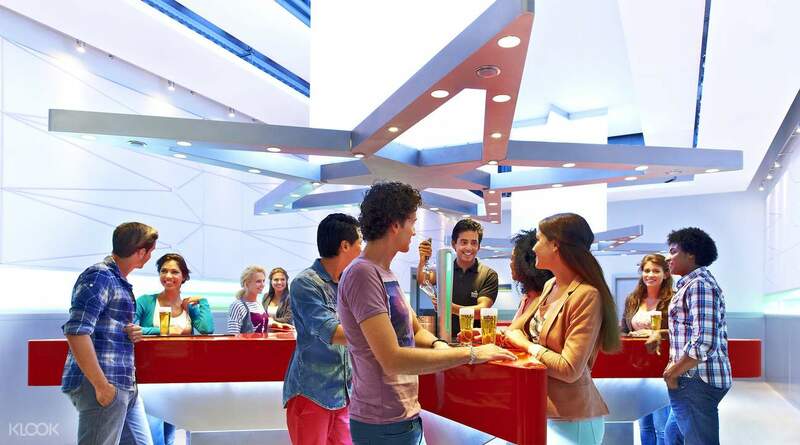 Plus, at the end of the Heineken Brewery Tour, enjoy two complimentary drinks - the perfect way to end a tour about beer. You can even choose to get your name engraved on a beer bottle for an added price! Must do activity as this is where the original brewery was. Great people telling u the history and brewing process. Also u can see brilliant marketing effort put in to make people proud of the beer Best of all, u got to have free draught beers and u can pay to get ur name crafted on a Heineken bottled beer! Must do activity as this is where the original brewery was. Great people telling u the history and brewing process. Also u can see brilliant marketing effort put in to make people proud of the beer Best of all, u got to have free draught beers and u can pay to get ur name crafted on a Heineken bottled beer! Purchased this activity's ticket through Klook. Direction for redemption was clear, very easy to follow. During the weekend the queue for this activity can be quite long especially after 2pm onwards. You will learn the Heneiken beer history and at the end of the tour you can purchase Heneiken's souvenirs from the store. One of a kind experience. Purchased this activity's ticket through Klook. Direction for redemption was clear, very easy to follow. During the weekend the queue for this activity can be quite long especially after 2pm onwards. You will learn the Heneiken beer history and at the end of the tour you can purchase Heneiken's souvenirs from the store. One of a kind experience. We got there in time the queue was not that long yet. We witnessed how the Heineken beer was made and the history of it. From the first bottle design up to the current. I like the photobooth and the karaoke one. And most especially, you can have your name written and have your own Heineken bottle. We got there in time the queue was not that long yet. We witnessed how the Heineken beer was made and the history of it. From the first bottle design up to the current. I like the photobooth and the karaoke one. And most especially, you can have your name written and have your own Heineken bottle. Very interesting experience where you get to know the history of Heineken to making of Heineken. Comes with free Heineken beers too! There’s a booth for you to take photos and sing-a-long session too! Very interesting experience where you get to know the history of Heineken to making of Heineken. Comes with free Heineken beers too! There’s a booth for you to take photos and sing-a-long session too! The heinken express was an alright experience. It is as per what you would have expected. Lots of tasting session and exhibits to learn a lot about beer making. The heinken express was an alright experience. It is as per what you would have expected. Lots of tasting session and exhibits to learn a lot about beer making. Very nice experience,best value for money,best guides,best beer! Very nice experience,best value for money,best guides,best beer! You will go through a labyrinth of dark hallways with special effects, rounded up like sheep; loads of sheep all packed together. At the end of the tour you’ll end up at the bar where loads of people drink their allocation in a dark and loud bar thumping EDM music. I loved the beer, the experience not so much. The Guinness Storehouse in Dublin is much much much better. You will go through a labyrinth of dark hallways with special effects, rounded up like sheep; loads of sheep all packed together. At the end of the tour you’ll end up at the bar where loads of people drink their allocation in a dark and loud bar thumping EDM music. I loved the beer, the experience not so much. The Guinness Storehouse in Dublin is much much much better. A must when you visit Amsterdam. It was smooth. There is a different line for. pre booked tickets. The experience is totally worth the money. Too much activities inside and you get total of 3 beers for free!! A must when you visit Amsterdam. It was smooth. There is a different line for. pre booked tickets. The experience is totally worth the money. Too much activities inside and you get total of 3 beers for free! !